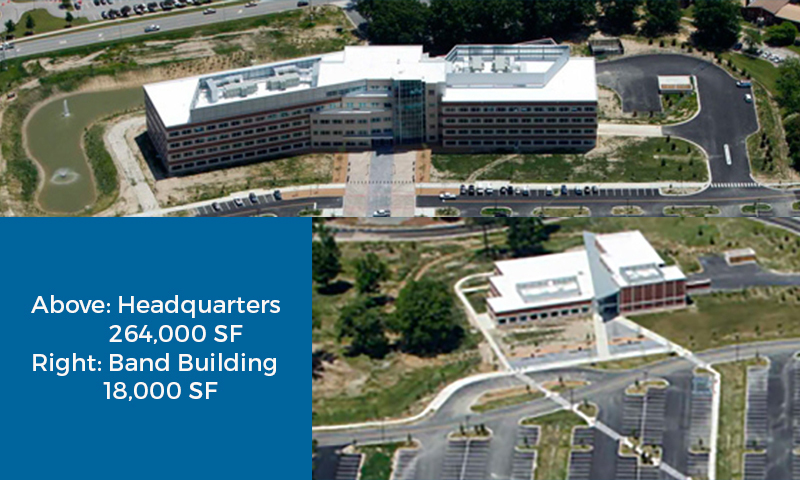 Atlantic Constructors performed the design assist and construction for piping, plumbing, and sheet metal on this new 264,000SF Headquarters and 18,000 SF Band Building Facility on a 16-month construction schedule. This project was a Tier 3 Classification. The construction consisted of a 1000-ton chilled water plant, 2800 GBM cooling tower, rooftop air handling units-150,000 CFM, fan coil units and CRAC units. The hot water reheat system totaled to 160,000 MBH. During design assist services, ACI was able to work closely with the project team to maintain budget and provide constructability input.